Green cleaning provides a doable choice to the tried and true products on the market today. Green cleaning, however, has its own advantages and disadvantages. The pros and cons of green cleaning, in many ways, are two sides of the same coin as will be seen in the following listing of these green cleaning pros and cons. When used properly with the adequate precautions, standard cleaning products are safe, but of greater concern are pets and small children who could accidentally come into harmful contact with them. 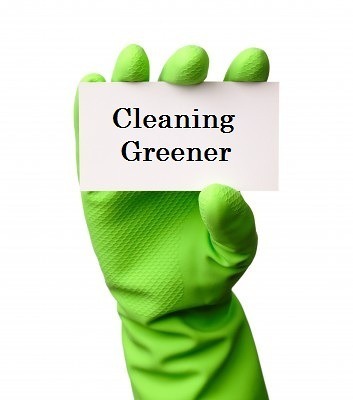 Safety issues alone make green cleaning a better choice, and there are other advantages as well. However, there are some disadvantages to using green cleaning even if they are better for the environment. Let’s look at the pros and cons of green cleaning. Known Elements – Green cleaning and the products used to accomplish a green clean have ingredients that are known to the consumer. This makes a healthier home and an environmentally safer atmosphere. Experts have concluded that even using a regular household spray on a weekly basis can increase the risk of one of the most quickly advancing diseases, asthma. Lower Cost – Many people are under the mistaken impression that buying green or using green cleaning products is expensive. This can be a determining factor for many to stay with the status quo. In reality, the cost of vinegar, baking soda, and some of the other ingredients needed to mix up your own natural cleaning sprays are low. Clear Environment – The antibacterial used in conventional cleaning products enables the release of injurious chemicals into the environment. Green cleaning helps to lessen pollution to rivers, lakes, and oceans, along with the minimization of the impact of ozone depletion and worldwide climate change. Questionable Ingredients: While those green cleaning elements mixed by your own hands are known, green cleaning product manufacturers are not required by law to list all the elements on their packaging. This can lead to ‘greenwashing’ or the labeling of false ingredients. Greenwashing – In recent years many companies and organizations have begun to see the benefit of using the green movement to market their products and services. This has led to the practice of greenwashing. Simply defined, greenwashing is shown when any organization uses more time and money saying they are ‘green’ through marketing methods than actually employing the products and services that curtail the carbon footprint. More Time Used Cleaning- While green cleaning products are better for the environment on the whole, they are not as severe. This means that the time spent cleaning can take much longer and ends up not being cost effective. While there are mixed pros and cons when it comes to green cleaning, it is significant to understand that basically all green cleaning is a step in the right direction towards helping the environment. However, unlike many products, green cleaning is a theory as well as a product. Those who believe in ‘going green’ will do so and find the best ways to utilize green cleaning products. They will read each label for antibacterial ingredients. They will search the internet for green cleaning recipes. They will ask intelligent questions of their green cleaning contractors, and suppliers. Those who believe that it is time to step forward to elevate the environment will use all the tools that are available to them to construct a greener, cleaner home, business, and world.